Nachschub: re-employment of stragglers, lost and retreating soldiers from different units into 1 new unit. NBC: Nuclear, Biological, Chemical; the use of these types of weapons on a battlefield, or tanks equipment designed to protect the crew from the effects of these weapons. BMP: pronounced "bump", the first generation of Soviet Infantry Combat Vehicles produced as the BMP-1, BMP-2 and BMP-3. Each version an improvement over the previous versions. HEAT: High Explosive Anti-tank. HEAT rounds use the Morrow Effect, which involves the detonation of a high explosive shell at a preset distance from the target armour plate. The shell is designed with a conical hollow charge inside which when detonated focusses the explosion into a high-speed jet of material which burns it's way through the armour plating. The normal penetratoin factor is five times the depth in armour plating for the diameter of the HEAT round. Once it has burned through the armour then the molten material of the penetration jet acts like any other round that penetrates the AFV. Heerestruppen: Independent units assigned to German Armies. 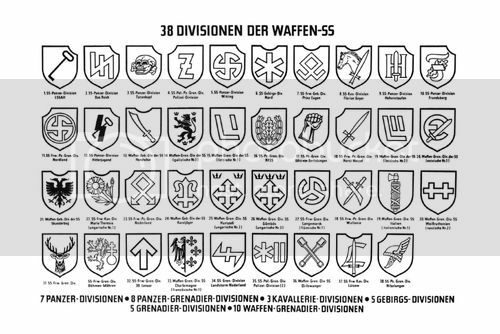 Also, it means German Army units as related to branch of service to differentiate them from being Luftwaffe, Kriegsmarine, Waffen SS, etc. HESH: High Explosive Squash Head. The shell consists of a large amount of HE with a base fuze. This is encased in a thin steel case. On hitting the target the explosive flattens against it (squashes) the target and is then detonated. The shock generates enough force to knock off pieces of the armour inside the target vehicle. This effect is known as spalling. The spalling becomes projectiles on the inside of the vehicle creating crew casualties. The exterior explosion is also sufficiently powerful to do considerable damage to the target vehicle and if less than an MBT could destroy the target vehicle by itself. The Hotchkiss H35 or Char léger modèle 1935 H was a French light tank developed prior to World War II. In 1926 it had been decided to provide armour support to the regular infantry divisions by creating autonomous tank battalions equipped with a light and cheap infantry tank, a char d'accompagnement. For this role at first the Char D1 was developed which type however proved to be neither particularly light nor cheap. In 1933 the Hotchkiss company by its own initiative presented a plan to produce a lighter design made possible by the application of the new technology to produce cast steel sections to construct an entire hull. On 30 June 1933 this proposal was approved by the Conseil Consultatif de l'Armement. On 2 August 1933 the specifications were made known: a weight of six tons and 30 mm armour protection all around. Three prototypes were ordered with Hotchkiss, but also the entire French industry was invited to provide alternative proposals. This allowed the Renault company to beat Hotchkiss in delivering the first prototype, which later was developed into the Renault R35. On 18 January 1935 the first Hotchkiss prototype, not yet made of armour steel, was presented to the Commission d'Expérience du Matériel Automobile (CEMA) at Vincennes; it was a machine gun armed tankette without turret. It was tested until 4 March 1935, when it was replaced by the second identical prototype to be tested until 6 May. Both had to be rejected because new specifications had been made on 21 June 1934 to increase the armour thickness to 40 mm. On 27 June 1935 the commission approved the type, on the provision the necessary changes would be made. On 19 August the third prototype was delivered, equipped with a cast APX turret and featuring a redesigned hull; it was tested until 20 September and accepted. On 6 November a first order was made of 200 vehicles. The first production vehicle was delivered on 12 September 1936, in which year already two additional orders had been made of 92 and 108 vehicles respectively. On 1 January 1937 132 vehicles had been produced. The first series vehicle was again extensively and intensively tested until 4 December 1936. This showed that its handling qualities in terrain were unacceptably poor. It was simply impossible to safely steer the vehicle on a somewhat bumpy surface, posing an extreme danger to nearby friendly infantry. The Infantry therefore decided to accept only the first hundred tanks to equip just two battalions with the type: the 13e and 38e Bataillon de Chars de Combat and reject any further procurement. For political reasons however the normal consequence of this decision, stopping production, could not be accepted. The other 300 vehicles of the production run were thus offered to the Cavalry, which Arm was forced to accept them because it would not have been granted a budget for other tanks anyway. As the cavalry units would be making more use of the road network and of mounted infantry, its terrain problems were of less consequence in the cavalry role. Also the H 35 was with 28 km/h somewhat faster than the Renault R35, which attained 20 km/h, although in practice its average speed was lower than that of the R 35 because of its inferior gear box. The Hotchkiss H35 was a small vehicle, 4.22 metres long, 1.95 m wide and 2.15 m tall. It weighed 11,370 kg. The hull consisted of six cast armour sections, bolted together: the engine deck, the fighting compartment, the front of the hull, the back of the hull and two longitudinal sections left and right forming the bottom. The casting allowed for sloped armour avoiding shot traps, to optimise the chance of deflection. Still, the protection level didn't satisfy the Infantry. 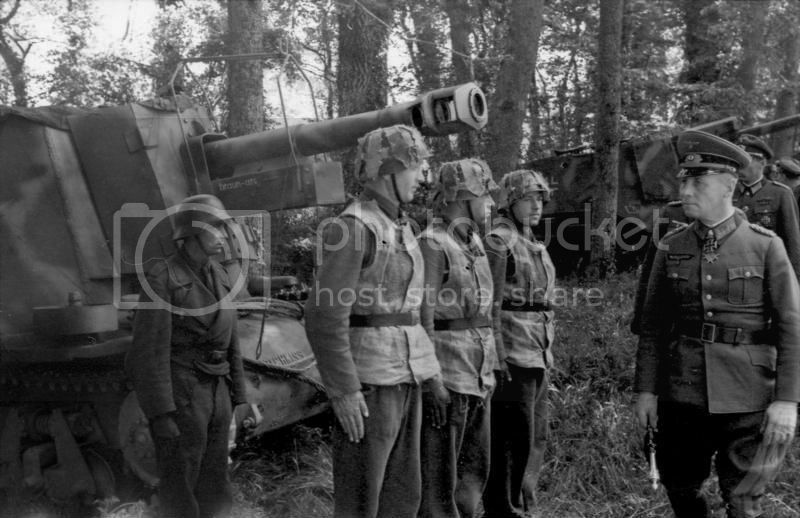 Maximum armour thickness was not the specified 40 mm but 34 mm. Also there were persistent quality problems, worsened by the fact that many subcontractors had to be used: at first the armour was made much too soft; when hardness was increased it became brittle and full of bubbles and thus of weak spots. There was a crew of two. The driver sat at the right front, behind a large cast double hatch. Driving the vehicle was very hard work. The Hotchkiss lacked the Cleveland differential of its Renault competitor and it responded unpredictably to direction adjustments. The brakes weren't of much help to correct this: they were too weak, especially when driving down a slope. No less troublesome was the gearbox: it was difficult to engage the highest fifth gear and so the theoretical top speed of 28 km/h was rarely reached. 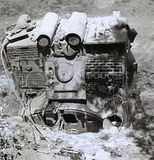 The inevitable rough handling of the tank by the driver resulted in much wear and tear. Mechanical reliability was poor. The suspension consisted of three bogies per side. The first ten production vehicles, that can be considered as forming a separate preseries, had curved bogie sides; in later vehicles these had straight sides. The bogies superficially resembled the R35 type, but used horizontal helical springs instead of rubber cylinders. The tank was powered by a 78 hp six cylinder 3480 cc engine. The range was 129 kilometres, made possible by a fuel tank of 180 litres. The commander manned a standard APX-R turret, armoured with 40 mm cast steel and armed with the short 37 mm SA 18 gun, which had a maximum armour penetration of only 23 mm. The tank carried about 100 rounds for the gun and 2400 rounds for the 7.5 mm Reibel machine gun. There was a hatch in the back of the turret. The commander could sit on it for better observation, but this made him very vulnerable and slow to reach the gun. The alternative was to fight buttoned-up, using the hatchless cupola. The Cavalry liked neither this arrangement nor the weak gun. The latter problem was lessened somewhat by boring out the fire chamber so that special rounds with a larger charge could be used. This increased muzzle velocity to about 600 m/s and maximum penetration to about 30 mm. Only a small part of the tanks with the Cavalry alone were thus changed however, because it strongly increased barrel wear. In the Spring of 1940 the original diascopes of the Chrétien type were gradually replaced with episcopes, offering more protection. As the Cavalry wanted an even better top speed, it was decided to bring to fruition experiments already conducted from October 1936 to install a stronger engine. A new prototype was made in 1937, with a 120hp instead of a 78 hp engine. The hull was enlarged to accommodate it and the track and the suspension elements were improved, raising the weight to 12.1 tons. This improved type was faster, with a top speed of 36.5 km/h (22.6 mph), but also was much easier to drive. Therefore it was first presented to the Commission d'Expérimentations de l'Infanterie on 31 January 1939 to see whether the original negative decision could be changed. The commission indeed accepted the type, the Char léger modèle 1935 H modifié 39; and it was decided on 18 February to let it succeed the original version from the 401st vehicle onwards, which was just as well as both in 1937 and 1938 an order had been made of 200 vehicles and production had already started, the total orders of the improved type thereafter being expanded to 900. The factory identifier however was Char léger Hotchkiss modèle 38 série D, its predecessor having been the série B. The designation has caused much confusion; this was still officially the same tank as the "H 35", only in a later variant. However even at the time, many began to refer to it as the 38 H or the 39 H.
The new subtype differed from the original one in having a raised and more angular engine deck (in later production vehicles with crosswise instead of longitudinal ventilation slits on the right side); a range decreased to 120 km; closed idler wheels; tracks two centimetres wider at 27 cm; metal instead of rubber wheel treads; a silencer directed to the back and larger, more reliable and effective, ventilators. Early 1940 a modernisation programme was initiated. This included besides the fitting of episcopes, tails and some radio sets, the gradual introduction of a longer L/35 37 mm SA38 gun with a much improved anti-tank capacity (30 mm penetration at 1000 m); about 350 vehicles were (re)built with the better gun, among them about fifty "H 35"s. The new gun became standard in the production lines in April. Before that change the available new guns had from January 1940 gradually been fitted to the tanks of platoon, company and battalion commanders; about half of the commander vehicles in Hotchkiss units were so modified. It had been intended to fit the longer gun to all vehicles during the second half of 1940. After the war it was for a time erroneously assumed that "H 38" was the official name of the tank with the new engine, but without the new gun and "H 39" the name of the type that had both major improvements. These mistakes are still common in much secondary literature. The "H 38" was in fact identical to the "H 39" and it is only correct to refer to the latter in an informal sense. Parallel to the development of a R 40 it was for a time considered to create a "H 40" by adopting the improved AMX suspension of the other vehicle; in the end this option was rejected though. Three Hotchkiss tanks of the "H 39" version had been exported to Poland in July of 1939 for testing by the Polish Bureau of Technical Studies of Armoured Weapons (pl. Biuro Bada? Technicznych Broni Pancernych). During the Invasion of Poland in 1939 the Hotchkiss tanks together with three Renault R 35 tanks were incorporated into in an ad hoc "half company" unit of lieutenant J.Jakubowicz formed on 14 September 1939 in Kiwerce, Poland. The unit joined the task force "Dubno" and lost all of its tanks during the marches and fighting with German and Soviet armies and Ukrainian insurgents. Two vehicles were exported to Turkey in February 1940. In April 1940 the 342e CACC was sent to Norway after the German invasion of that country, having first been intended to form part of an expeditionary force to assist Finland in the Winter War. This autonomous company, equipped with fifteen "H 39"s, all with short guns, fought at Narvik, after having landed on 7 May. After the temporary liberation of that city, the twelve remaining vehicles were withdrawn to Britain on 8 June, where they exceptionally joined the Free French, forming the 1e Compagnie de Chars de Combat de la France Libre. In 1940 and 1941 this 1e CCC fought against Vichy-troops in Gabon and later in Syria. When World War II started 640 Hotchkiss tanks had been delivered according to the acceptance lists. The inventories deviate slightly: of the 300 "H 35"s allocated to the Cavalry, 232 were fielded by ten cavalry squadrons, 44 were in depot, eight in factory overhaul and sixteen in North Africa. Of the hundred used by the Infantry, ninety were fielded by the two tank battalions equipped with the type, six were in matériel reserve and two used for driving training. Of the "H 39"s, sixteen were used by the Cavalry in North Africa and six in depot; 180 were fielded by four Infantry tank battalions and fourteen were in the Infantry matériel reserve. It was decided to concentrate most Allied production capacity for light tanks into the manufacture of a single type, and the Hotchkiss tank was chosen as it had the necessary mobility to be of use in the many armoured divisions the Entente planned to raise for the expected decisive summer offensive of 1941. To this end British and Portuguese heavy industry had to assist in producing the cast armour sections. It was hoped to increase production to 300 a month in October 1940, and even 500 a month from March 1941, the sections of 75 of which to be provided by Britain in exchange for a monthly delivery of nine Char B1's. This can be compared to the planned production of the R 40: 120 per month, reflecting the little importance now attached to infantry support. These plans were disrupted by the Battle of France. In May 1940 the type equipped in the Cavalry units two tank regiments (of 47) in each of the three Mechanised Light Divisions and served as AMR in the 9th and 25th Mechanised Infantry Division (sixteen vehicles for each), 3rd DLM (22 "H35"s and 47 "H 39"s) and in the five Cavalry Light Divisions (sixteen vehicles each). In the Infantry it equipped the two autonomous battalions mentioned above and two battalions of 45 in each of the three Divisions Cuirassées, the latter with the "H 39" variant. Most Hotchkiss tanks were thus concentrated in larger motorised units, in the armoured divisions supplementing the core of heavier tanks, though they were mismatched: the slower "H 35"s fought alongside the swifter SOMUA S35s, whereas the faster "H 39"s joined the slow Char B1s. The vast majority of these vehicles still had the short gun. Several ad hoc and reconstituted units were formed with the type after the invasion. These included 4e DCR (forty vehicles) and 7e DLM (47). Most of these later units were equipped with new vehicles built with the long gun. In May deliveries peaked at 122; a picture of a Hotchkiss tank with series number 41200 shows that in June at least 121 were produced for a total of at least 1200 vehicles, not including prototypes. About 550 were captured and used by the Germans as Panzerkampfwagen 35H 734(f) or Panzerkampfwagen 38H 735(f); most for occupation duty, but the independent 211e Panzerabteilung was deployed in Finland during Operation Barbarossa. Like the French themselves the Germans made no clear distinction between a "H 38" and a "H 39". The Germans fitted many with a cupola with a hatch. 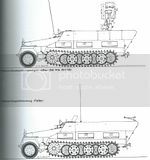 Some vehicles were modified to munition carriers or artillery tractors (Artillerieschlepper 38H(f)) or rocket-launchers (Panzerkampfwagen 35H(f) mit 28/32 cm Wurfrahmen). In 1942 24 were converted into a Marder I Panzerjäger or tank destroyer, the 7,5cm PaK40(Sf) auf Geschützwagen 39H(f) and 48 into mechanised artillery, the 10,5cm leFH18(Sf) auf Geschützwagen 39H(f), all to be used by units in France. A special artillery observation vehicle was created: the Panzerbeobachtungswagen 38H (f) Responsible for these modifications was the commader of 200 sturmgschutz abteilung of 21 panzerdivision major Becker. 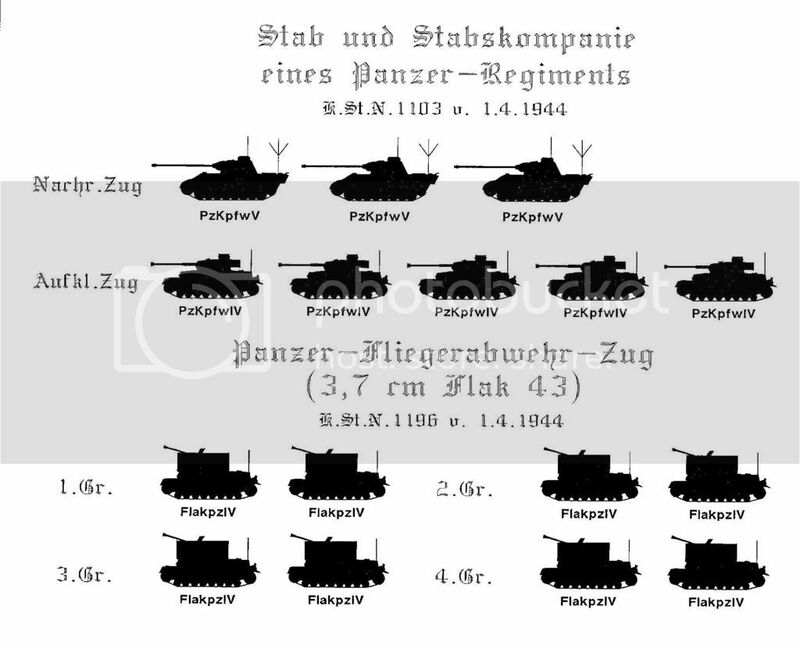 In June 1943 361 Hotchkiss tanks were still listed in the German Army inventories as 37 mm gun tanks; this number had decreased to sixty in December 1944. In 1943 the Germans, against objections, delivered nineteen "H 39"s to Bulgaria for training purposes, when it proved to be impossible to find 25 unmodified Panzerkampfwagen Is, the type the Bulgarians really desired. After the war these vehicles were used by police units. The Germans in 1944 delivered fifteen vehicles to Hungary and a small number to Croatia. In North Africa 27 vehicles (thirteen H 35 and fourteen "H 39") were officially serving in the 1e Régiment de Chasseurs d'Afrique and were allowed to remain there by the armistice conditions; another five were hidden in Morocco. They fought the Allies during the opening stages of Operation Torch near Casablanca in November 1942, destroying four M3 Stuarts. The regiment then joined the allied cause and was re-equipped with M4 Shermans in the summer of 1943. After the war some Hotchkiss tanks were used by French security forces in the colonies and occupation forces in Germany. Ten "H 39s" were clandestinely sold to Israel and shipped from Marseilles to Haifa in 1948. At least one remained in service with the IDF until 1952. Developed in 1939 the 251-1/A saw action in the Polish campaign. Few vehicles were made. In 1940 modifications were made which resulted in the B type. Mods included replacement of the antenna from the steps to the rear of the vehicle, rear vision sights were removed. In 1941 another modification, the C version. This had a thicker nose plate armor up to 14.5 mm.Modifications were made to the engine and its muffles were modified and replaced. The front bumperes were removed and replaced by towing hooks. The last version was the D version build in 1942. Overall 12000+ vehicles have been manufacturered during the war. Armament : 2 x MG34 or MG42 Machine guns. They were intended to act in Kampfgruppen called 'Sperber'. Pictures and drawing of the Panther platform. Restored, fibel can be find in attachement. Leopard 1 : German made main battle tank (MBT) 70's era tank still in use with Greece,Canada and Turkey. Leopard 2 : German made main battle tank of the third generation, currently the 2A7 is the latest version in use with Saudi-Arabia. MG 08, dated from world war 1 fired 7.92 x 57 mm round. MG 15, installed for self defence in aircraft like Stuka and HE 11. MG 30(t), chzeck machinegun built by the Germans, mainly used by the SS. MG 45, crisis gun, cheap last effort. copied from MG42. MG 81, Gun used by aircraft. Need new pictures of this vehicle, if anyone has them please post! Using the advantages of our camper we started from the Batterie Todt musuem http://web.ukonline.co.uk/gaz/bt.html we drove through some fields and came across this farm, the farm is overwhelmed with bunkers! In and around the farm there are some 10 bunkers, it's a MEGAlocation and the view is superb on the beaches. TRIANGLE, Va. — On the night of July 16, 1966, Lance Cpl. Ned Seath saved Kilo Company, 3rd Battalion, 4th Marines. He had been painfully wounded by mortar fire in the leg and hand but frantically worked to assemble an M60 machine gun from the fragments of two badly damaged weapons. Hundreds of North Vietnamese Army soldiers bore down on his unit’s position, but he was unshakable. With only the occasional flicker of illumination rounds to light his work, he got the weapon up in the nick of time and forced the enemy’s retreat. Nearly 45 years later, Seath received a Navy Cross at the age of 67 in recognition of his heroism. Navy Secretary Ray Mabus presented Seath with the service’s second-highest valor award during a ceremony Friday at the National Museum of the Marine Corps. Seath, who would later join the Reserve and serve as a corporal until 1982, said the ceremony was a welcome reminder of the men he served with and the lives he saved. Most of the enemy targets Seath faced that night were inside 20 meters. He eventually stood to fire because fallen enemy troops began to obstruct his field of fire. “When I got that gun up, I shot them up and piled them up,” Seath said. The ceremony was the culmination of a seven-year effort by Seath’s fellow Marines to secure him recognition for his valor. That’s why Hutton, who is now the senior vice commander of the Military Order of the Purple Heart, was appalled to learn during a 2003 Kilo Company reunion that Seath received only a Purple Heart for his actions. Several officers in their unit, which served as a blocking force to prevent enemy troops from escaping during Operation Hastings, had received decorations, including the Medal of Honor and Silver Star. Hutton approached retired Maj. Gen. David Richwine, who at the time of the fight was their company commander, and collaborated with him to compile and submit a Navy Cross recommendation. Hutton spent years tracking down former 3/4 Marines and gathering supporting information for the recommendation package. Then, in 2008, Richwine signed off on the package and submitted it to the Marine Corps for consideration. During Operation Hastings, he said, every day was a fight and commanders were busy accounting for casualties and conducting operations. Seath also was presented the Bronze Star with “V” device, a medal for which he was approved in the 1960s but was never presented, at Friday’s ceremony. Seath earned the medal for actions a day earlier when an enemy sniper killed a Marine and wounded another. Despite being told the Marine could not be recovered, Seath crawled into the sniper’s line of fire and pulled the Marine back to safety, before killing the sniper with machine-gun fire. Hutton said if anyone deserved recognition, it was Seath. “Had it not been for Ned Seath, I would have been interred at Arlington with the inscription, ‘William R Hutton, born 4 July 1947, KIA Vietnam, 16 July 1966,’ ” Hutton said.